The personal data about you which is collected through this Website includes: information collected when you register or update an online profile, which may include personal data such as your name and contact details; the content of electronic forms you submit via this Website, requesting us to provide services or information, or take actions; information input or submitted to online facilities such as search tools and calculators; personalisation preferences you select as you use the Website; information submitted if you participate in an online survey or competition; and any messages or comments you submit to us via this Website, which may include personal data such as name, email address and telephone number. You may browse some information-only areas of this Website without providing any personal data, however we may not be able to provide the full range of services through this Website if we are not provided with the information outlined above. We will tell you where information collected is a contractual or statutory requirement. To respond to and engage with third party inquiries in relation to the potential acquisition of an interest in Chartered Land. To support our legitimate interests in managing the enquiries of potential purchasers. We have carried out a balancing test to ensure that your interests do not override this legitimate business interest of ours. For more information on this balancing test, please contact us at info@lansdowneplace.ie. Note: you have the right, at any time, to object to the use of your personal information for this purpose. 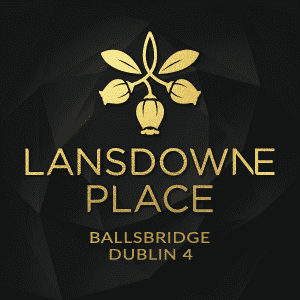 You can contact us at info@lansdowneplace.ie to exercise this right. Managing, operating and developing our website – to keep our website updated and relevant, to develop our business and to inform our marketing strategy To support our legitimate interests in managing and operating our website. We have carried out a balancing test to ensure that your interests do not override this legitimate business interest of ours. For more information on this balancing test, please contact us at info@lansdowneplace.ie. To conduct research (including market research), to carry out planning, product and service development, and to engage in security and testing. To support our legitimate interests in improving and developing products/services and ensuring that the security practices for our business are sufficient. We have carried out a balancing test to ensure that your interests do not override this legitimate business interest of ours. For more information on this balancing test, please contact us at info@lansdowneplace.ie. Processing of job applications To perform or enter into a contract with the applicant. All applications are logged and recorded by HR in a secure confidential file and are destroyed after a period of 12 months. To provide you with information relating to Chartered Land or promotional details about products and services that may be of interest to you We will send you direct marketing materials where we have your consent to do so. Note: You have the right to withdraw your consent at any time. If you consent to the use of your information for marketing purposes, please tick the relevant box situated on our Website. You have the right to withdraw your consent at any time. You can opt out of receiving this information at any time by contacting us (see “Contact Details” below) and requesting to be removed from our mailing list or click on the “unsubscribe” link in any marketing email or SMS communications which we might send you. If you choose to opt out, you will not be contacted again with direct marketing messages. We will never sell your details to an unconnected third party for marketing purposes. If you do any of these actions, we will arrange for your preferences to be updated or the information to be deleted as soon as reasonably practicable. Where we process your personal data for direct marketing purposes, you have the right to object at any time to such processing. If you wish to object, please contact us directly (“Contact Details” below). The transmission of information via the Internet is not completely secure and may involve the transfer of personal data to a third party outside of the European Economic Area (EEA). To the limited extent that it is necessary to transfer your personal data outside of the EEA, we will ensure appropriate safeguards are in place to protect the privacy and integrity of such personal data, including standard contractual clauses. Please contact us if you wish to obtain information concerning such safeguards (see “Contact Details” below). Your personal data will be stored for as long as required to satisfy the purposes for which the data was collected and used, unless a longer period is necessary for our legal obligations or for the exercise or defence of legal claims. Usually, we retain your data for a period of seven years. Note that these rights may not be exercised in certain circumstances, such as when the processing of your data is necessary to comply with a legal obligation or for the exercise or defence of legal claims. If you wish to exercise any of these rights, please contact us (see ‘Contact Details’ below). We will respond to your request within one month. That period may be extended by two further months where necessary, taking into account the complexity and number of requests. We will inform you of any such extension within one month of receipt of your request. We may request proof of identification to verify your request. We have the right to refuse your request where there is a basis to do so in law, or if it is manifestly unfounded or excessive, or to the extent necessary for important objectives of public interest. Please contact us using the details set out below if you wish to: ask any questions or provide feedback about this Website Privacy Statement; make a request for access to any personal data that we may hold about you; or make a complaint about the way in which we have handled your personal data. Any information that we provide in response may be limited to the extent permitted by any applicable law.